Ah so Christmas has passed and boy did i get some goodies, so i will introduce you to this little gift my friend Rachel Brought me. The gift set included 5 items, bath scrunchies, make-up bag, shower gel, body polish and body butter. Thought rather than just showing you the items i would give them a bit of a review too! Its only a little bottle at 60ml, and smells Divine = love. 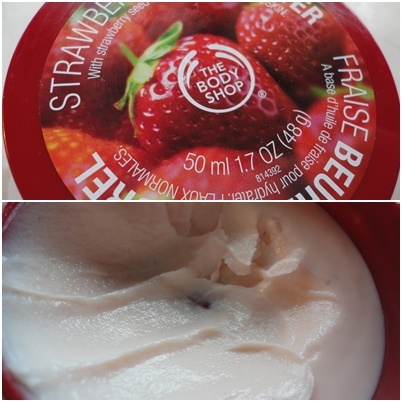 It lavers up really well and leaves you smelling like strawberry's. Trying not to be rude but they should have just called it shower gel. I was so excited to used it and oh so disappointed when it did not exfoliate my skin as promised by the label. I would not buy it or recommend it. After the disappointment of the body polish my faith was restored when i used the butter YUMMY, i did feel though i needed a lot to feel the proper moisture benefits of this product and although it smelt Divine to go and buy a good sized version of this would knock me back around £10, and for me its just not worth it. I was really glad i got this set, i will enjoy using the products (maybe not the polish) but i wouldn't go to re-purchase them once i had run out.. I love body butter!Such a lovely gift. 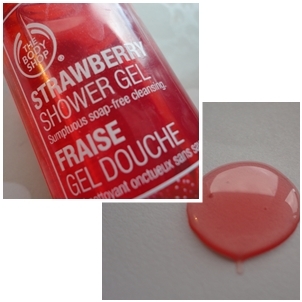 I got a little gift set of those shower gels and loooved the strawberry one! Shame about the body scrub; at least it looks pretty though! 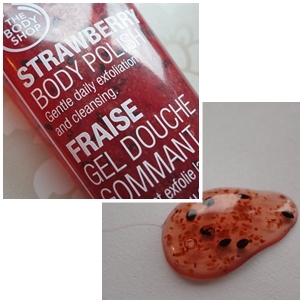 I've never tried any of the Body Shop's strawberry products before... I bet they smell lush though! I bet all smells so lovely !